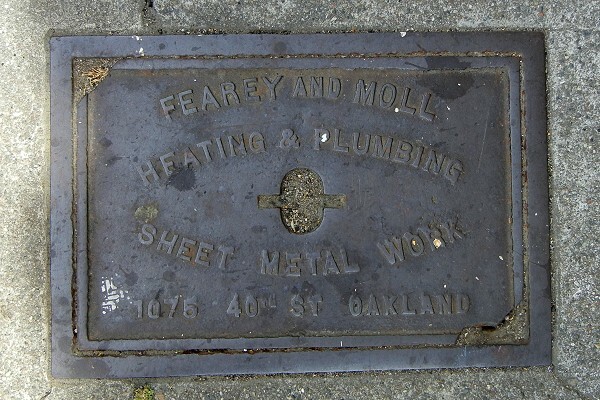 This fabricator, owned by Robert Fearey Jr. and Charles Moll, was located on 40th Street next to the Key System tracks. More information and a photo were dug up by Gene Anderson for the Oakland Wiki. This entry was posted on 17 August 2018 at 8:46 am and is filed under Streetscape. You can follow any responses to this entry through the RSS 2.0 feed. You can skip to the end and leave a response. Pinging is currently not allowed.